Experience the traditions of central Italy while enjoying the amenities of a modern stone country house. Set within a 5 hectare estate, there is mature forest behind the property, in front are vineyards and farm fields with olive groves above and below. 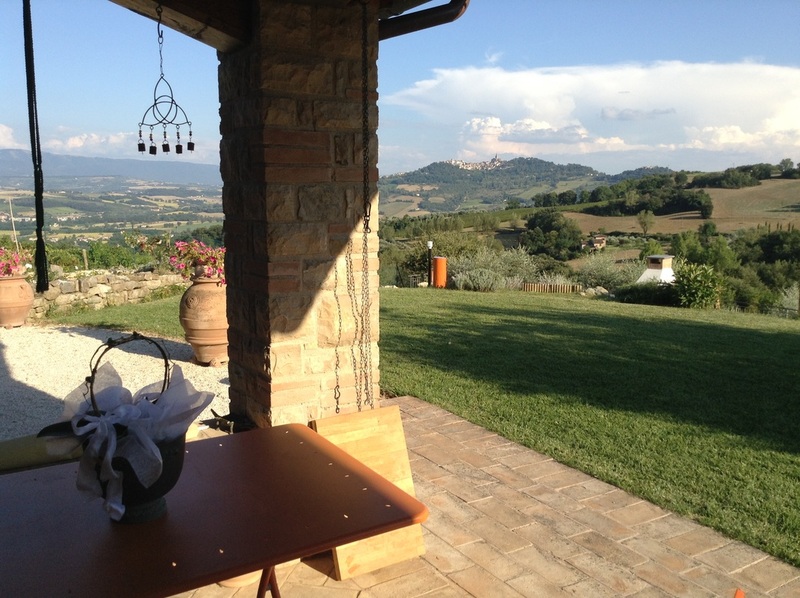 A great view of Todi is directly in front of the house and a 15 minute away. Our beautiful country house is made with characteristic stone construction, traditional beams and cotto floors. The house consists of a large master bedroom, en suite with a nice terrace on the upper floor. The ground floor consists of 2 full bedrooms, bathroom with shower, single room with en suite small bathroom, living room with fireplace, and a large eat-in kitchen. The house is tastefully furnished and has wifi access. A covered loggia off the kitchen is furnished with a dining table and chairs for al fresco meals looking on the valley and Todi on the hilltop. Landscaping is traditional Umbrian with flowers and aromatic shrubs. The terrace and yard overlook the 15 meter pool and surrounding countryside. A large patio with wood barbecue is near the pool; a nice terrace of white gravel is just off the house with a gas grill. 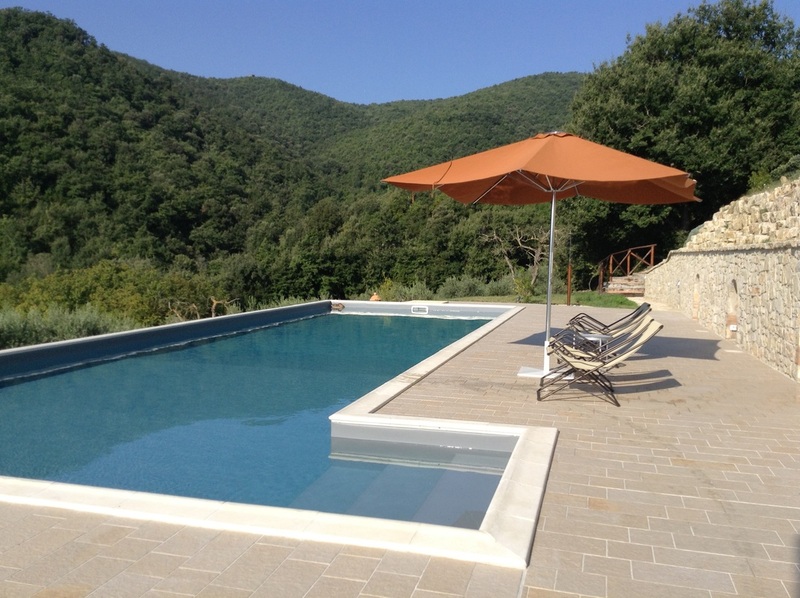 Bonheur di Todi is a great place to relax, regenerate and enjoy the beautiful surroundings. Just a few kilometers distant are Todi, with its history, architecture, restaurants and cafes. Assisi, Perugia, Orvieto are less than an hour away. Shopping for amenities is less than 10 minutes away. Experience an authentic Umbria at its best! 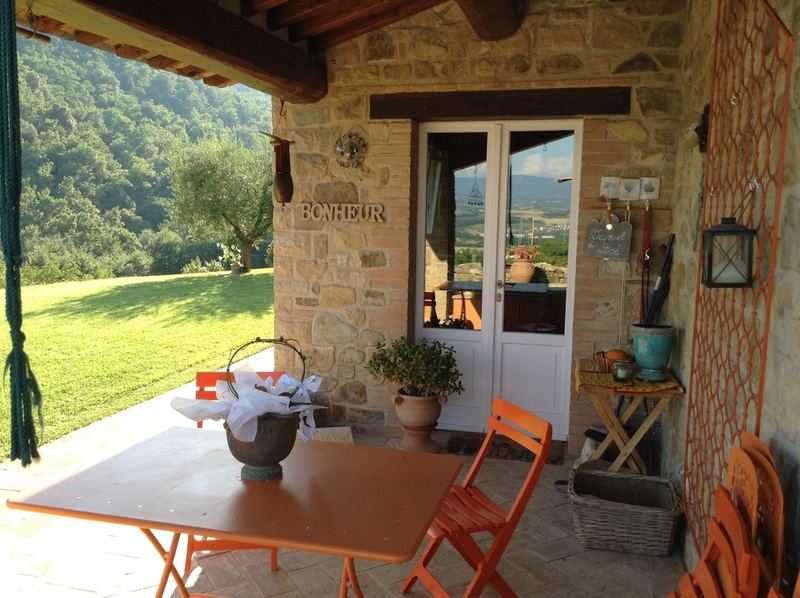 You can see Le Bonheur di Todi on Facebook or you can also reach us at: Flipkey and Vrbo. The village of Cecanibbi is an easy twenty minute walk from Bonheur di Todi.